Property investment is a popular tool in Singapore to build up your wealth or in other words, get rich. While Singapore is always facing land scarcity but that does not mean you are not able to grab a piece of pie from the share. There are approximately more than 40,000 units of uncompleted private residential and more than 16,000 units of Housing Development Board (HDB) that is left unsold in the property market for you to invest in as a second property. You will be wondering which type of property is better; freehold vs leasehold or you will ponder if property value will increase in few years time? We have a quick guide on factors that affect Singapore property prices. 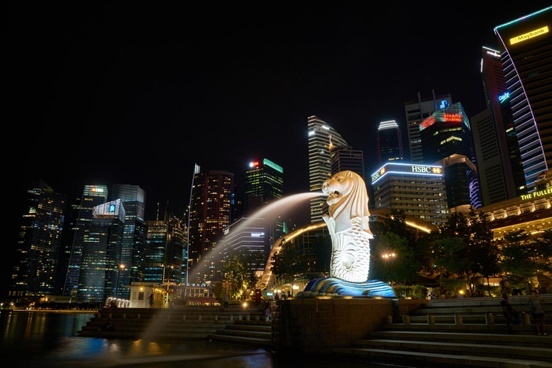 What affects Singapore property prices? A good investment when get back more money than you have originally spent on the investment. We all have heard of this saying before where buy low sell high and there are some factors that is going to affect the Singapore property prices. As a general rule of thumb, improved transport infrastructure especially can effect property prices especially the location of the MRT stations within the walking distance from the residential area. Plus, if the MRT stations are located nearby amenities like shopping malls, good schools or recreational area, you can be sure that you will be smiling from ear to ear as the property prices goes up. For instance the recent Downtown Line 3 that has operated, their MRT stations, property prices around the stations have definitely gone up. When the property’s condition is old, you can be sure that the prices will be affected. For instance, landed properties that require a load of maintenance and repairs, hefty amount is needed if there is difficulty to repair. This is because many buyers will need to go through the hassle wasting time and money getting repair and still being ambiguous with the price movement whether it will be going up or down. On the other hand, if you have renovated your residential unit in a palatable style, you will be sure the price is going up. Most of Singapore’s residential property is leasehold and with the most common lease duration at 99 years. When the lease tenure is reaching the end, you can expect a sharp drop in the property price. Whereas, freehold properties tend to retain its value over the time but it comes with a cost, a heavy one, usually more expensive to purchase compared to leasehold properties. There is also land tenure which is quite uncommon in the property market, 999 years, which is as good as freehold. Over the years, there are more than 5 cooling measures implemented since year 2009 and it is to give impact to property prices in the market. Not upwards but downwards. Property prices have been suppressed ever since. For instance, Additional Buyer’s Stamp Duty (ABSD) that was introduced in year 2011 to cool the residential market and in year 2013 it is then revised upwards. Recently, the rates are revised upwards again this year. The revised rates are applicable to Singapore citizen and Singapore Permanent Resident (SPR) that have bought second residential properties. The economic condition is always cyclical and there will be times that the economic is at it’s bullish and there are times it is in recession. You can expect demand and prices to fall during the recession but it will reverse to it’s true times during the good times. After the property market crash in year 2007, it went back up again in year 2009 property market is at it’s bullish condition till the next few years till government had to implement cooling measures almost every year. I truly like to reading your post. Thank you so much for taking time to share the factors that affect Singapore property prices. Please keep updating us on this topic.